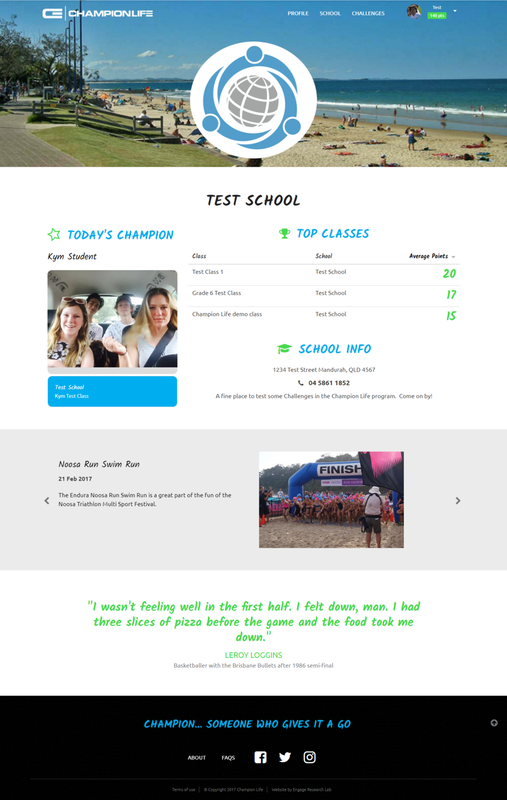 Champion Life is an Australian-developed online platform that seeks to instil healthy lifelong habits in young Australians. It is a pilot program that promotes health and physical activity amongst kids aged 9-13. It aims to improve their fitness and wellbeing development by harnessing the power of real-life motivational events. Champion Life works by making healthy habits a game in a way that is aligned to the national HPE curriculum. It is delivered on video featuring positive role models that children look up to. Champion Life is being trialed in schools in Octoberfrom /November 2016 ahead of its public release.